To get to the download click ADD TO CART ( nothing with show that its added to your cart ), then CONTINUE TO CHECKOUT, then COMPLETE ORDER and it will be on the next page that shows up. You are not being charged anything. In order to host the download in our store it has to simulate a purchase in order to get to the download page. 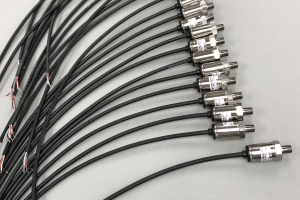 This sensor features no connector on the end which makes it perfect for waste gate pressure or anything with high vibration. The harness is terminated inside of the sensor and then encapsulated and sealed. This offers incredible vibration resistance since there is no connection at the sensor. Stainless steel construction with 1/8 npt male thread. 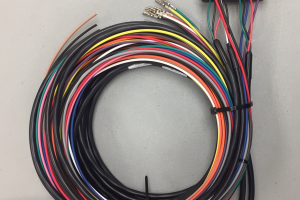 Harness lead extends 18 inches from sensor where you can put your dtm connector or connector of choice. For those that dont need a remote switch you can now order without for some savings! Picture shows remote switch but that is not included with the kit. Comes with control unit, pressure sensor, solenoids and harness. Please provide serial number of ecu during check out so we can generate your upgrade code that is specific to your ecu. Motion Raceworks High Resolution Driveshaft Speed Wheel offers amazing quality driveshaft speed data with a high resolution approach to help smooth out your graph and deliver accurate data to your recording device or traction control. 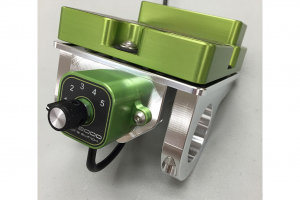 Our billet steel collar offers 18 pickup points for a hall effect pickup that reduces noise and allows for all of the benefits of a square wave signal. This piece is TRACK PROVEN and we only suggest purchasing this if you like to crush the competition! MRW driveshaft wheel can be utilized with nearly any data collection system as well as any EFI system. As long as your system allows for a hall effect pickup you are good to go! This collar comes with ID for all standard pinion yokes produced by nearly all manufacturers. The sizes below reflect the flat surface OD on your pinion which will match the collar ID. 1.812 1.875 2.125 2.187 2.5 (strange 8.8 yoke) Available for 8.8 (8.8 yoke sizing 2.5 inches is based off of the strange 8.8 chrome moly strange yoke ) and 9 inch rear end. Boost Control Program (for Pro Nitrous Box) ATTENTION! Provide your ECU serial number upon checkout! ****V2 Hardware is our latest hardware package . 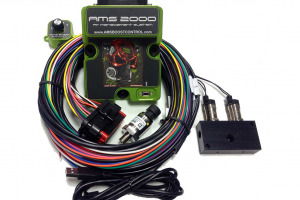 *** The features of the AMS-2000 will make tuning, logging and adjusting to pick up ET and MPH easy and straight forward. The AMS-2000 offers numerous control strategies you can choose from. Once you choose a primary control strategy the rest become offsets to that strategy! This gives you the ability to mix and match as well as integrate numerous inputs to create a single highly advanced control curve delivering the absolute most advanced capability ever. Each output can be programmed with a different frequency(HZ) and is adjustable from 3 hz to 1000hz in .10 increments for absolute control. 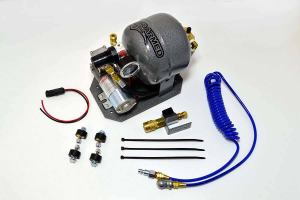 This means that you could run 2 wet kits and run different hz on both fuel and nitrous solenoids. The PRO UNIT can do any type of control as well BUT it can combine and modify the main curve based on any of the other inputs coming into it. You can make it a simple time based table or a time based table that adds or subtracts based on back pressure before the solenoid and/or pressure drop after the solenoid. You could adjust your curves based off fuel pressure as an example. 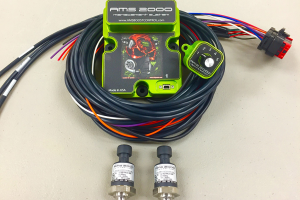 You could do a speed based set up on a late model vehicle using our can bus adapter(pro or base) all while taking advantage of the built in rpm windows etc. Our speed based control is based off of undriven wheelspeed so rear tires spinning doesnt effect it. It is limitless with the PRO unit. The tables are easy to use and understand. Analog outputs are smooth and precise which makes fuel control on a dry kit fantastic ! With the pro unit there are 2 of them so you can have 2 fuel compensations running if needed OR control something based off the nitrous control. The 5 position switch is an absolute must. Thinking your going to carry a tablet in your car and make a change right after the burnout is crazy. You going to take your gloves off and fumble around? Doubt it. You need to be able to make a last minute change with gloves on. The 2000 allows you to make that last second split decision which alot of times determines if your going home or going to the next round. Pro Unit includes: 2 nitrous outputs 2 fuel outputs 2 analog outputs or you can configure it for 1 nitrous output 1 fuel output 1 analog output 2 relay drivers 1 remote selector switch to switch between 5 tunes G-meter Datalogging Offset capability Other tools available by code are PWM tables with super trick thresholds that you can use for whatever you want.  If at a later date you want the turbo program all you have to do is call up and purchase it. Its a code and now you have a controller that capable of both without having to purchase and rewire. The 2000 base unit can do nitrous control based on pretty much anything you can think of. TPS,Speed, time, engine rpm, boost, gear,Shift input, air fuel, a 0-5 volt input or whatever you can imagine as the inputs are designed to be configurable. It can be updated to a PRO unit at any time by code which mean you can get in on a lower cost point yet still having the same hardware in your unit so you dont have to buy another box later. The hardware and features are locked out until it is PRO enabled. The 5 position switch is an absolute must. Thinking your going to carry a tablet in your car and make a change right after the burnout is crazy. You going to take your gloves off and fumble around? Doubt it. You need to be able to make a last minute change with gloves on. The 2000 allows you to make that last second split decision which alot of times determines if your going home or going to the next round. 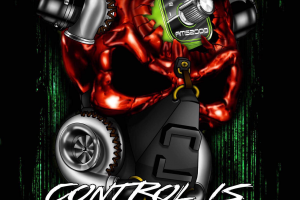 Base unit includes: 1 nitrous output 1 fuel output 1 analog output 1 relay drivers ( trigger retards ) 1 remote selector switch to switch between 5 tunes NO Gmeter NO Logging NO Offset capability If at a later date you want the turbo program all you have to do is call up and purchase it. Its a code and now you have a controller that capable of both without having to purchase and rewire. Billet ams2000 mount for 1 5/8 roll bar. Remote switch can mount on the front of it. The most advanced and user friendly Pulse Width Modulation control anywhere. Think of it and it can be done with this. ATTENTION! Provide your ECU serial number upon checkout! Staging program for turbo cars or anything for that matter. Turns a ground output OFF and then back ON. Allows turbo spooling on the first bulb and using either the scramble or reduce input as the "staging" button when transbrake is on. ATTENTION! Provide your ECU serial number upon checkout!